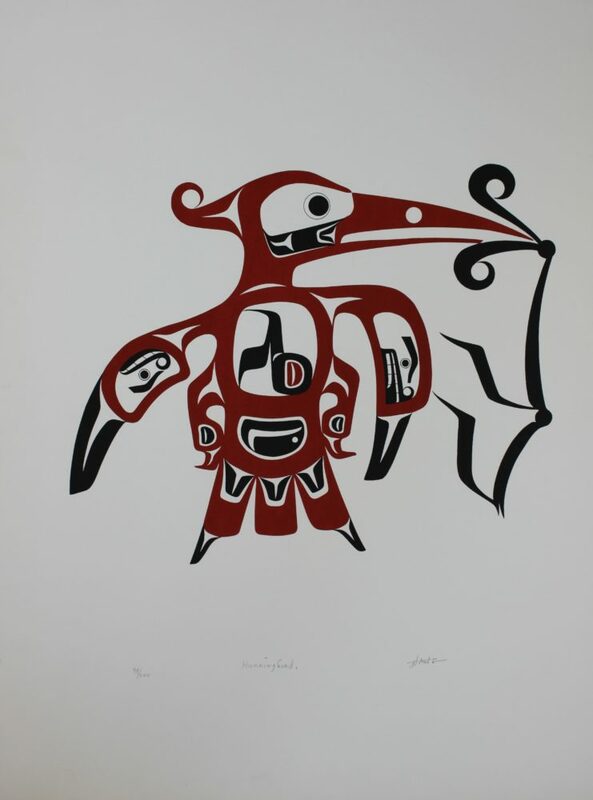 Art Thompson was born in 1948 in the village of Whyac on the southern end of Nitinat Lake. 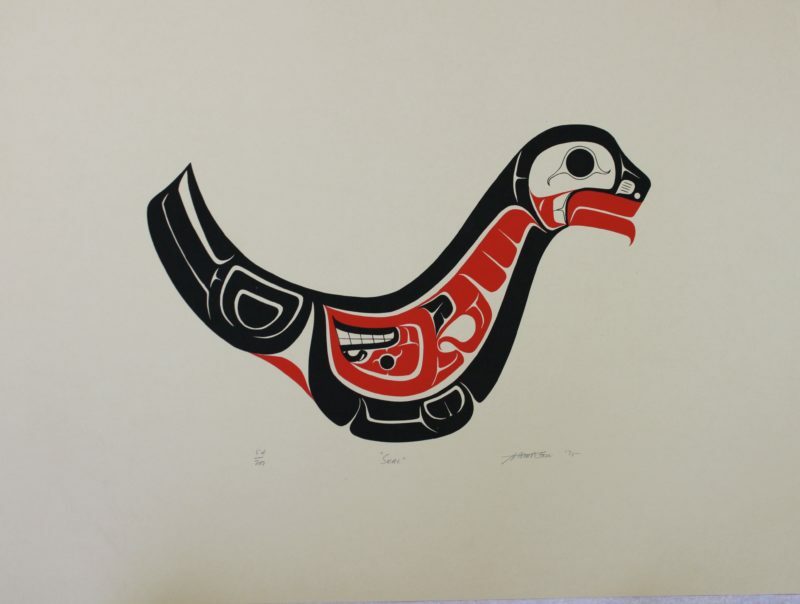 He belonged to the Ditidaht Band of the Nuu-chah-nulth people. 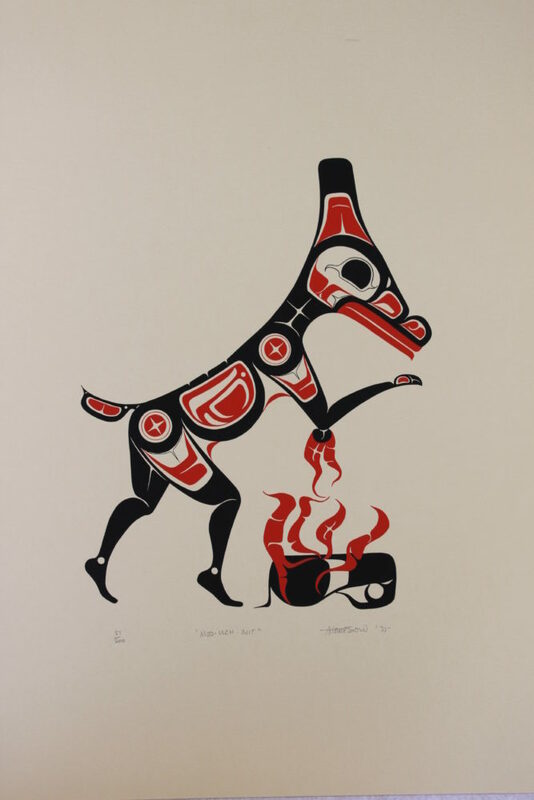 Art was fortunate to be immersed in the cultural life of his people from an early age, when he was initiated into the Tlukwalla society. 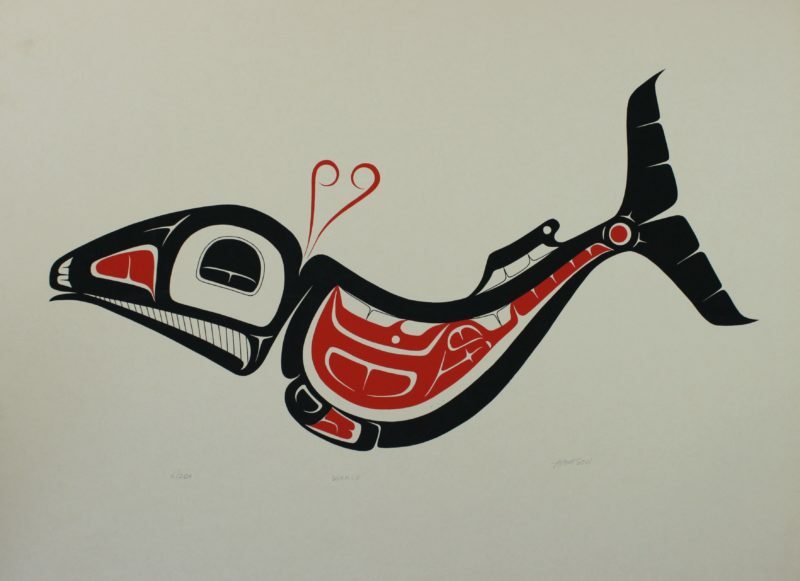 As a small boy he showed great interest in artistic expression. 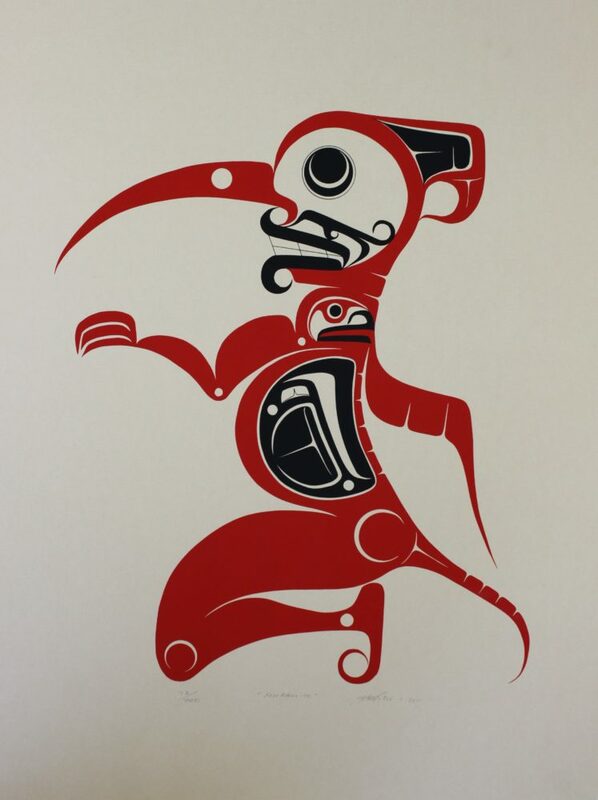 This was encouraged by his paternal grandfather, from whom he learned the history, songs and dances of his people. 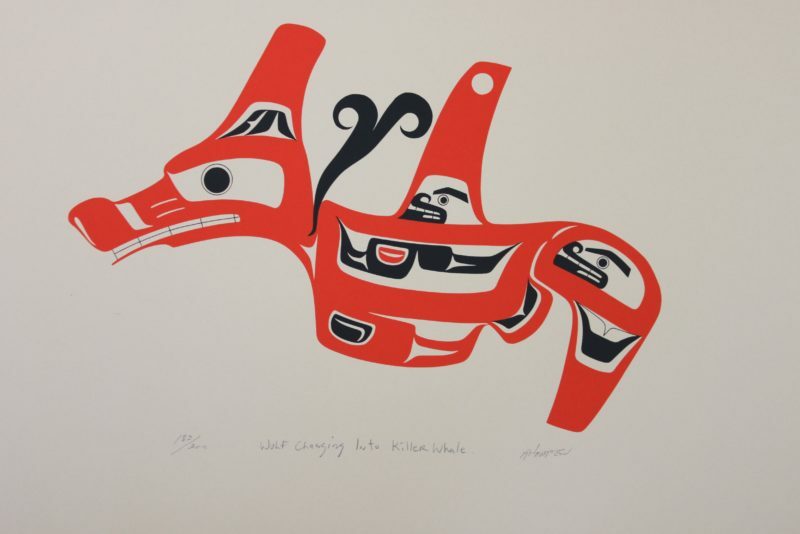 Art graduated from a residential school in 1964, ending nine years of abuse. 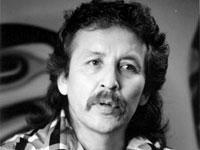 In subsequent years he became a powerful spokesman in pursuit of justice for others who have suffered similar experiences. 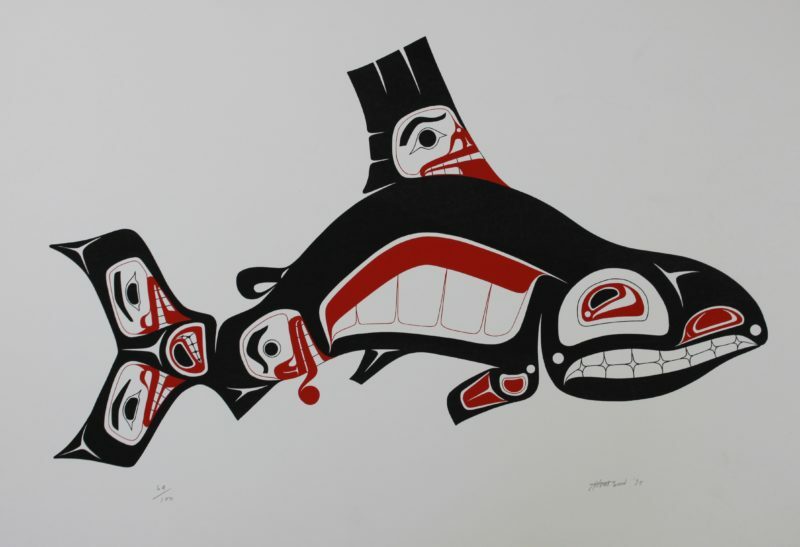 One of the key events in Art’s artistic life was perhaps his 1970 meeting with fellow Nuu-chah-nulth artists Joe David and Ron Hamilton, the latter possessing an encyclopedic knowledge of West Coast traditional art. 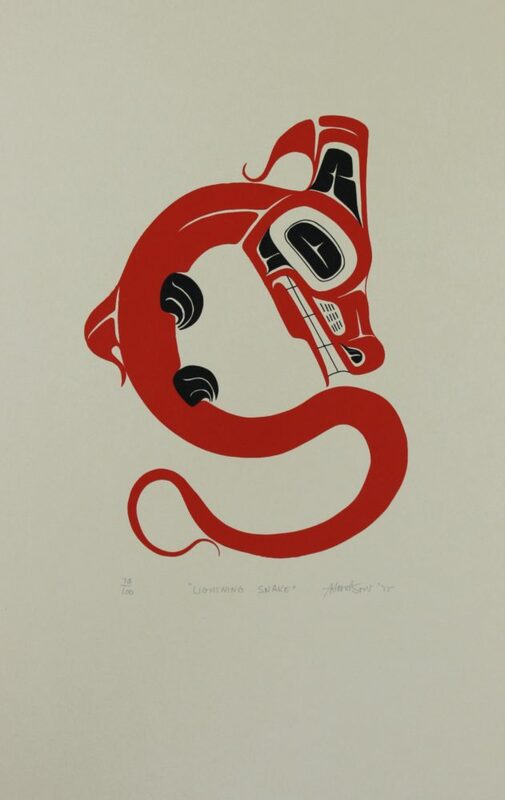 From 1970 -1972 Art studied fine arts at Camosun College in Victoria. 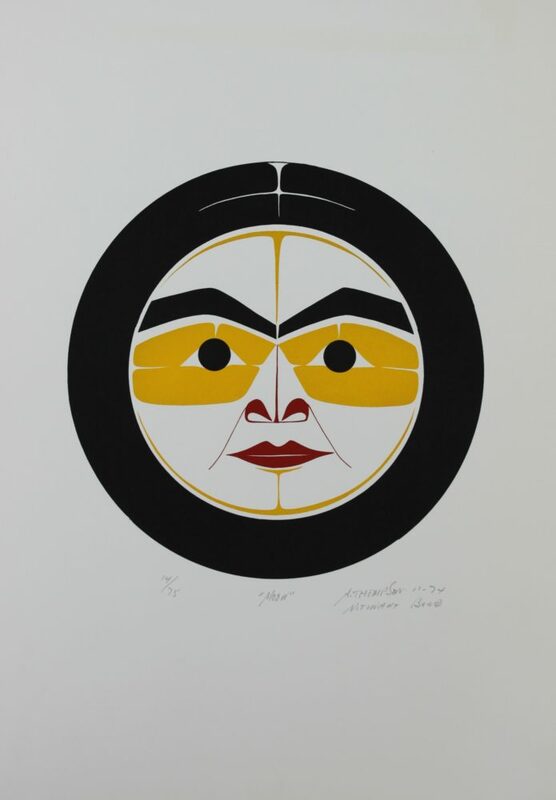 Subsequently, he enrolled at the Emily Carr Institute in Vancouver, working in both two and three dimensional forms. 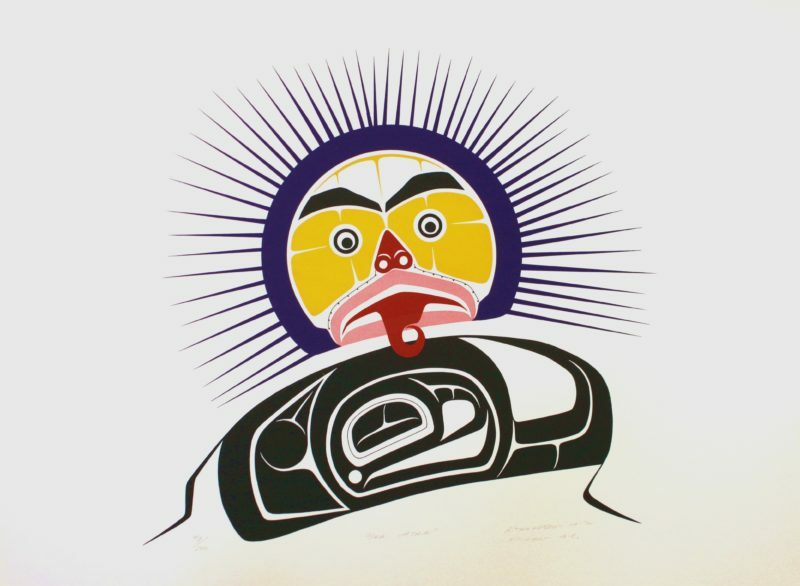 It was here that Art began printmaking and began to create the striking silkscreens for which he is now so renowned. 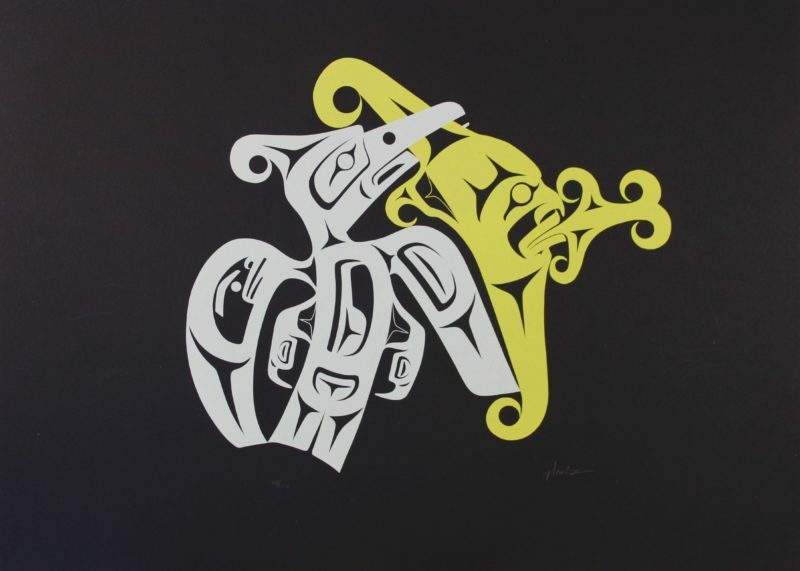 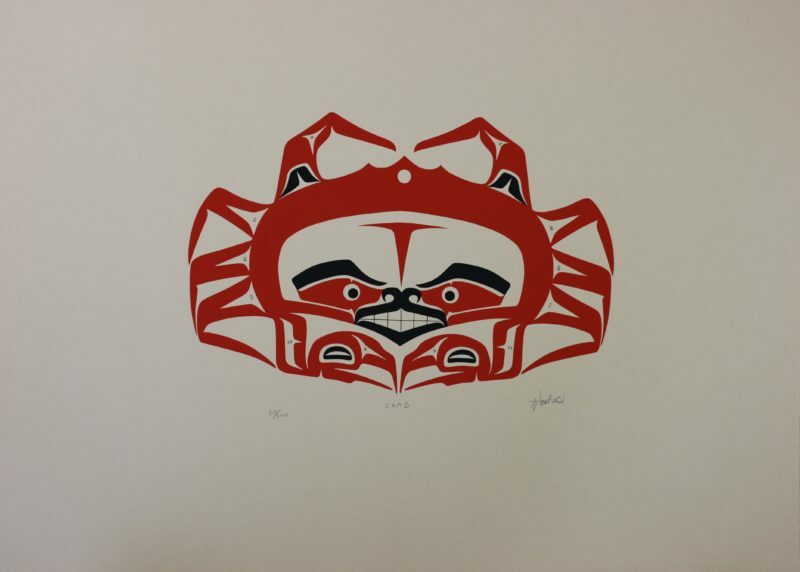 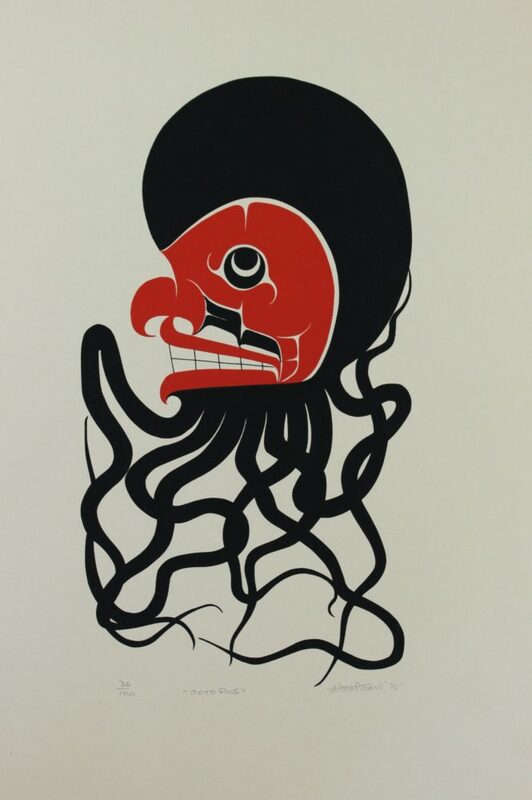 Well-versed in many of the artistic styles of the coast, Art developed his own innovative and distinctive interpretation of Nuu-chah-nulth design. 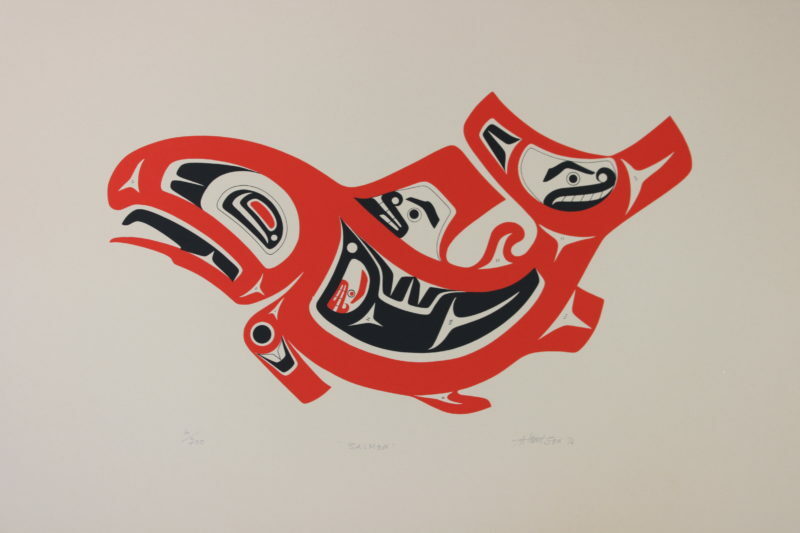 Art created a number of large dance screens, which, in turn became serigraphs, while other print images were drawn from drum heads. 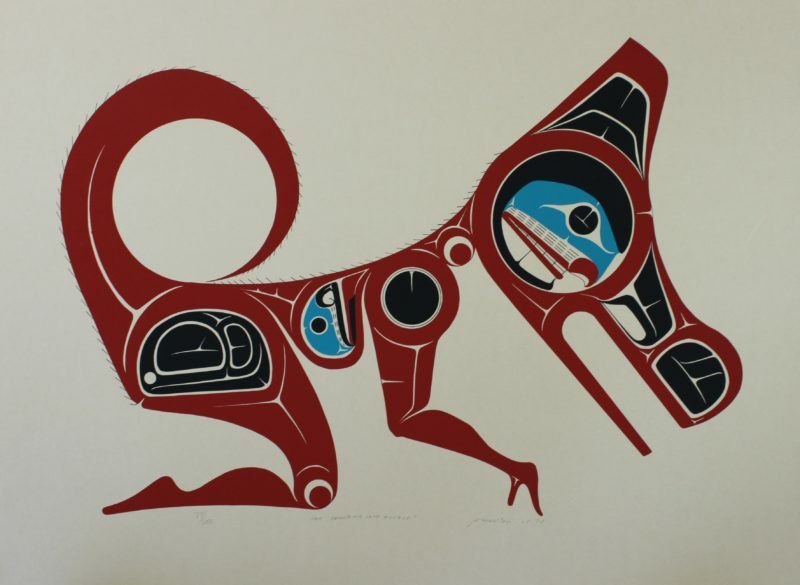 Art Thompson’s work can be found in many public collections including the Museum of Civilization in Hull, Quebec, the Royal British Columbia Museum in Victoria, The Canadian High Commission in Singapore, and Stanford University in the United States. 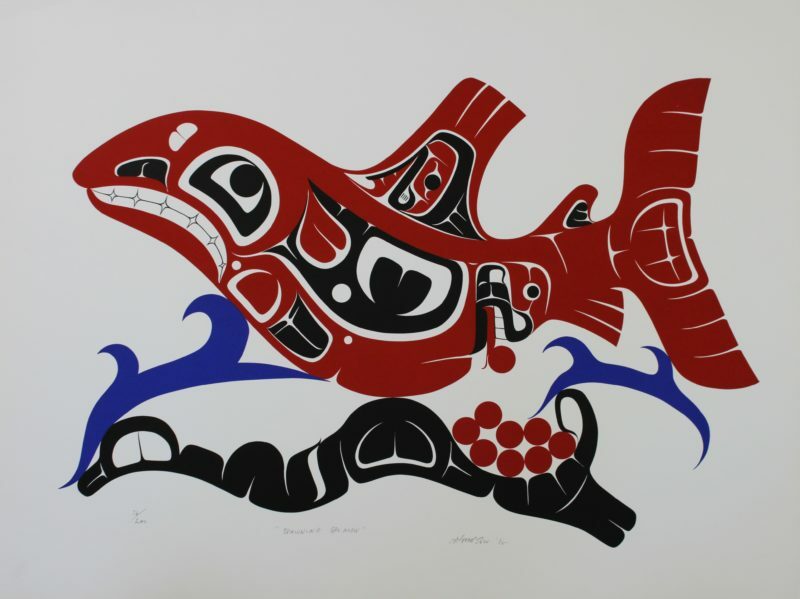 Art Thompson passed away in March of 2003.